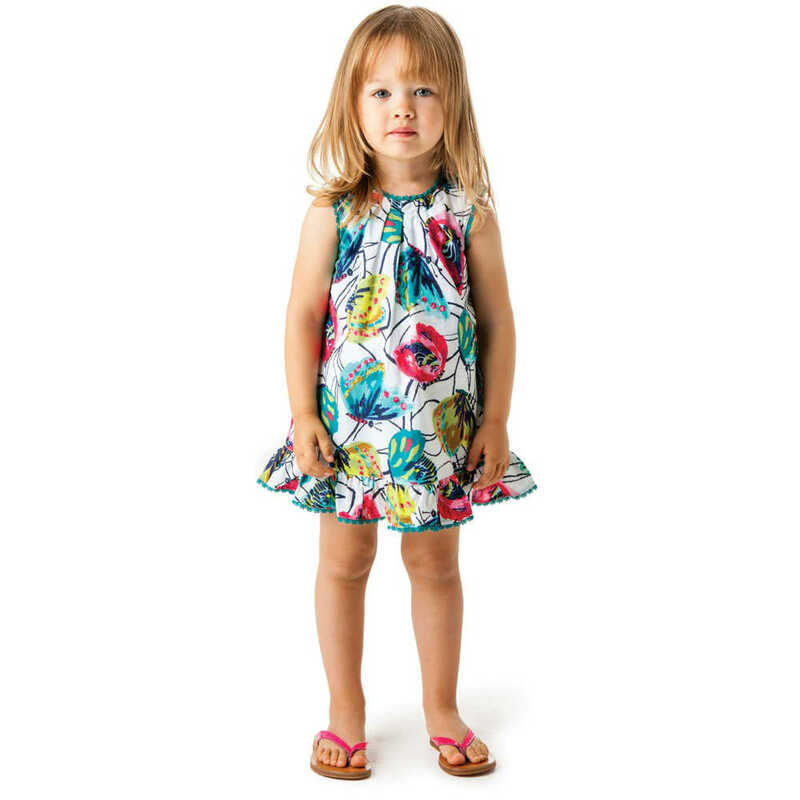 Love this little girls cotton jersey dress by Catimini Girls with pretty, bright pink stripes on the top half and a bright floral and butterfly skirt. Very comfortable to wear, the skirt is fully lined and has a pretty bubble hem. 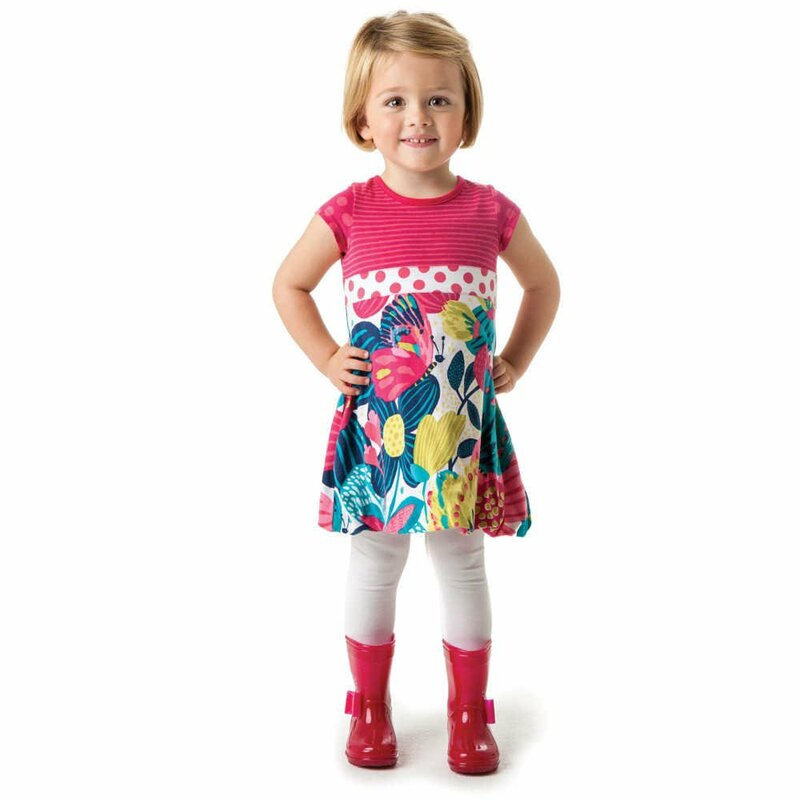 Complete the look with a pair of white tights and pink boots. 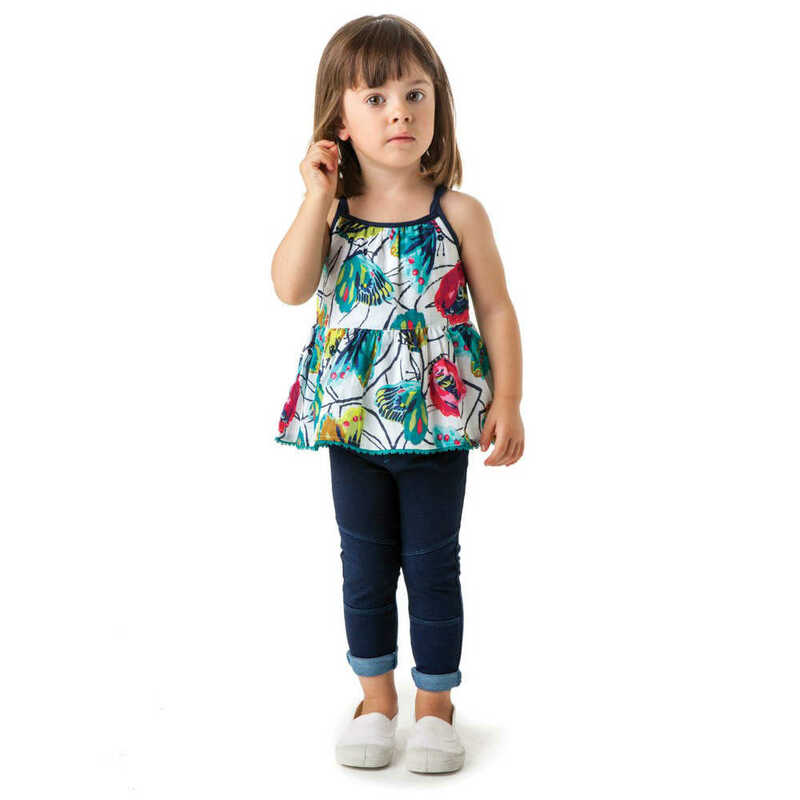 Adorable Summer Look for girls by famous French Kids Fashion House. Ships Worldwide.